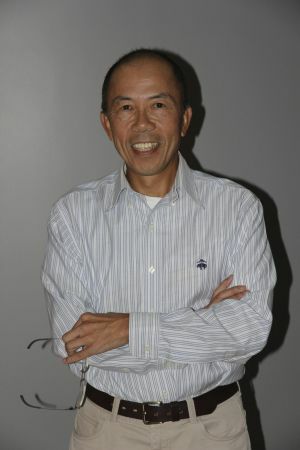 Rod Houng-Lee, the former head of tax in Asia Pacific for big-four accounting firm PwC. The G20’s efforts to crack down on multinational tax avoidance are likely to be defeated by national self-interest, particularly from the United States, one of Australasia’s top tax advisers says. Rod Houng-Lee, formerly Asia Pacific Tax Leader head of tax in Asia Pacific for big-four accounting firm PwC, said a multilateral approach to addressing tax avoidance via the G20 and OECD was doomed to fail because there was no possible outcome that could produce a “win-win” for the countries involved. Mr Houng-Lee has been at the coalface of multinational tax minimisation for 30 years, delivering advice to some of the world’s largest corporations. “More taxes collected by foreign governments must mean less tax collected at home. This means that the biggest loser from an effective multilateral crackdown on tax avoidance by MNCs [multinational corporations] would probably be the US – home to most of the world’s largest companies doing business globally,” Mr Houng-Lee said. Mr Houng-Lee’s scepticism about global efforts to reach a tax avoidance agreement was based on the fact that multinationals manage their global tax bill by avoiding paying tax in the foreign countries in which they operate while deferring the repatriation of profits and the tax being paid back home. His comments highlight the difficulty of achieving an acceptable cross-border approach to tax avoidance and contrast sharply with the “official line” of the audit profession, the business lobby and the Australian government. Tax avoidance has become a hot political issue with companies such as Google, Glencore, American Express and “big pharma” exposed for paying little or no income tax in Australia for years. Tech giants Google, Apple and Microsoft and Rupert Murdoch’s News Corp were forced to defend their local tax arrangements at a Senate committee hearing in April, when submissions from government and industry experts called for a multilateral approach among countries to tackle tax avoidance. The big four accountancy firms, Deloitte, PwC, KPMG and Ernst & Young, warned against Australia “going it alone” on tax reform. Many tax professionals privately concede a multilateral solution to multinational tax avoidance is fraught, but few with the top-tier expertise as Mr Houng-Lee make their views public. Forbes Magazine‘s list of the top 2000 public companies in the world by market capitalisation shows the top-100 list is dominated by multinationals from the US (40 per cent), followed by China (16 per cent). Mr Houng-Lee said the answer lay in political will to drive reform at home. Using the rate of withholding tax on interest and royalties (which is one of the simplest methods/strategies used by multinationals to transfer profits) as a way of protecting Australian government revenue was a possibility, he said.